Kice Industries introduces a new flat-bottom bin sweep that is suitable for use in NFPA-compliant filter or bin designs avoiding the requirement for tall hopper sections. 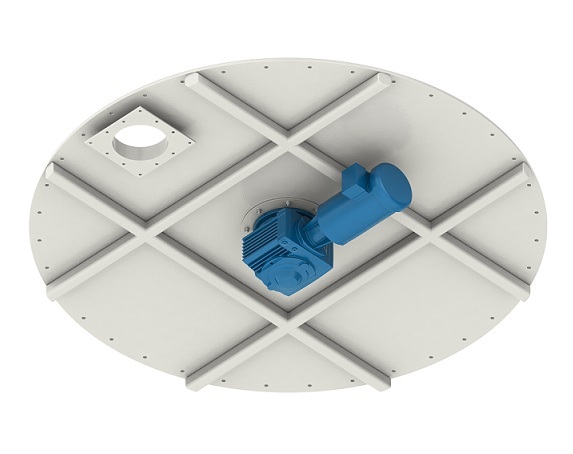 “With a total height of 10.5 in., this design can help fit equipment in spaces otherwise not possible or eliminate the requirement for costly floor penetrations,” said Andy Forrester, director of sales, Kice Industries. The unit incorporates a sweep-arm with an FDA-compliant neoprene wiper, and a simple bottom-mounted direct drive motor assembly for reliable operation and ease of maintenance.